One editor looks for and selects garments for the magazine's back cover. 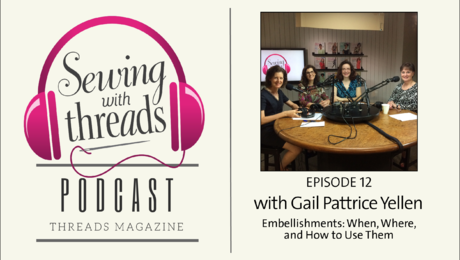 In the Sewing with Threads Episode 9 podcast, Contributing Editor Judith Neukam talks about selecting beautiful vintage garments for the Threads magazine back covers and figuring out how sewers can create similar results. 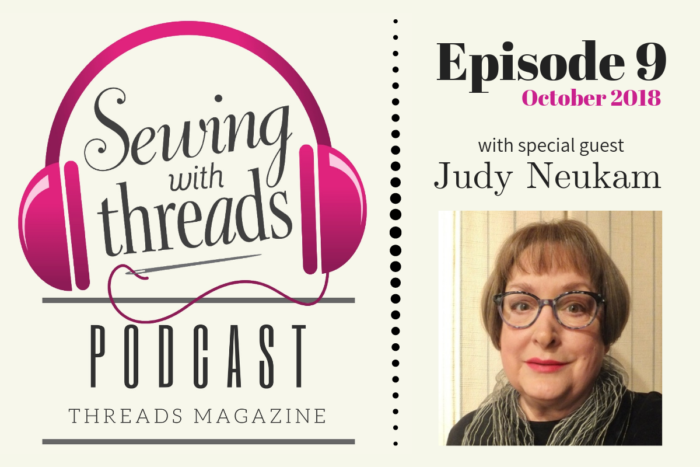 Judy also discusses—via a Skype call from her home studio—the merits of making flat-pattern adjustments versus fitting with a test garment, or muslin. 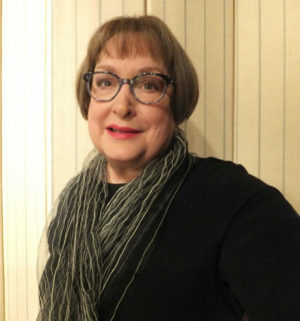 Judy recently edited Kenneth D. King’s Smart Fitting Solutions (The Taunton Press, 2018) and has been been associated with Threads for many years. She has seen all the magazine’s back covers. Judy recalls the first one, featuring rocks blanketed by crochet work. More recent versions focus on garments with everything from unusual inset panels to those with curved seamlines. One of Judy’s favorite back covers is a macramé dress, Threads #143, June/July 2009. It came from Western Costume Company, home to a treasure-trove of more than 150,000 vintage garments. 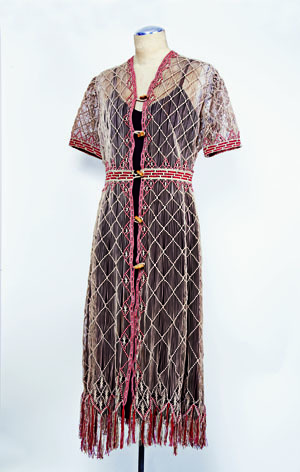 This macramé dress, from the collection at Western Costume Company, was featured on the back cover of Threads #143, June/July 2009. Photo by Greg Rothschild. Two more of Judy’s vintage garment discoveries at Western Costume were so fascinating she provided more detailed explanation about the engineering and innovative garment draping in “Ready for My Close-Up,” Threads #132, Aug./Sept. 2007. From the collection at Western Costume Company. Photo by Scott Phillips. Currently, Judy is working with Jeffrey Mayer, a professor at Syracuse University’s School of Design and curator of the The Sue Ann Genet Costume Collection, in her quest for interesting vintage garments. Mayer wrote Vintage Details: A Fashion Sourcebook (Laurence King, 2016), highlighting garments from the collection. 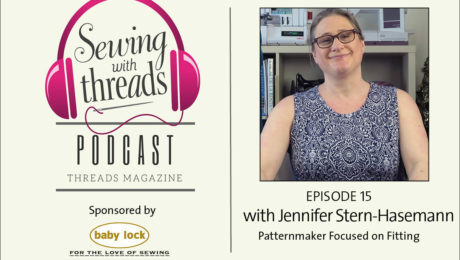 Her collaboration with Mayer is a key part of her analyzing the garments to create step-by-step directions for replicating the vintage details she finds. These directions appear in each issue of Threads in the “How Did They Sew That?” department. Please, please have Judy back again. I would love to hear her talk about sleeve and even shoulder slope. 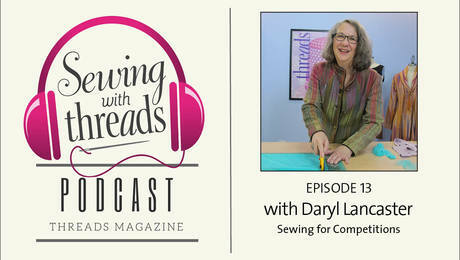 She has such a nice way of making fitting alterations seem simple. I just listened to Judy, and please, please, please have her back on. 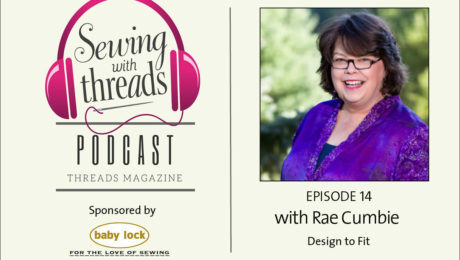 I have every issue of Threads since #1 and have probably read every article she has written but hearing her talk about everything is wonderful and very helpful in fitting issues. Surprising to hear about the changes in the sleeve head. It makes me wonder about comments so many younger sewers are making about their preference for independent pattern companies because the fit is better.